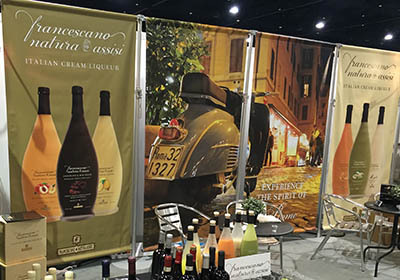 Trade show backdrop banners need to be different from your typical vinyl banner. 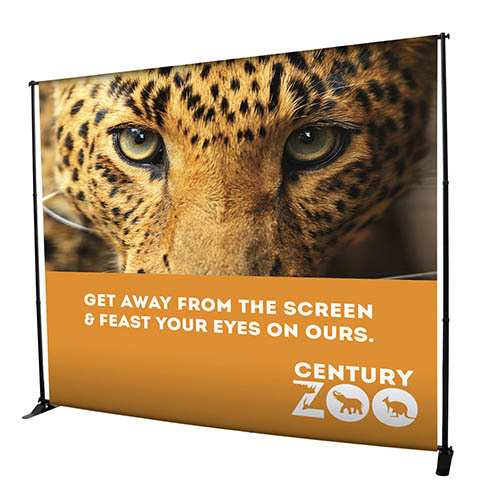 Since people go right up to them, they need to be highest quality, and they need to be printed on a matte finish vinyl so you don't have glare trouble in trade show lighting. They need bright graphics and sharp text to attract people to your booth. We've done thousands of them- use our experience to get you a better booth display! We use our solvent printers with Eco-Solvent inks for this kind of work. The inks are UV stable in sunlight and are waterproof. Need help with the design? 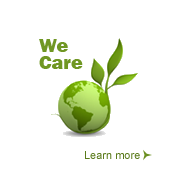 Our graphic designers can do that for you, we charge $80 an hour for graphic design. Order a matte vinyl banner. Call us if you need the self-standing frame. Accepts a banner 5 to 10' wide and 3.5 to 8' high. We suggest using a 8'8" wide x 7'6" high (104x90") banner in your 10x10' booth. Banner and stand $589 plus shipping. 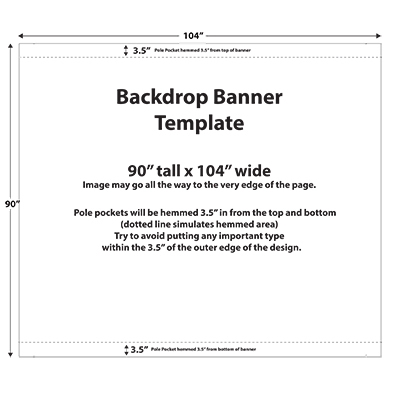 Banners over 104" width will be subject Fedex oversize surcharges. 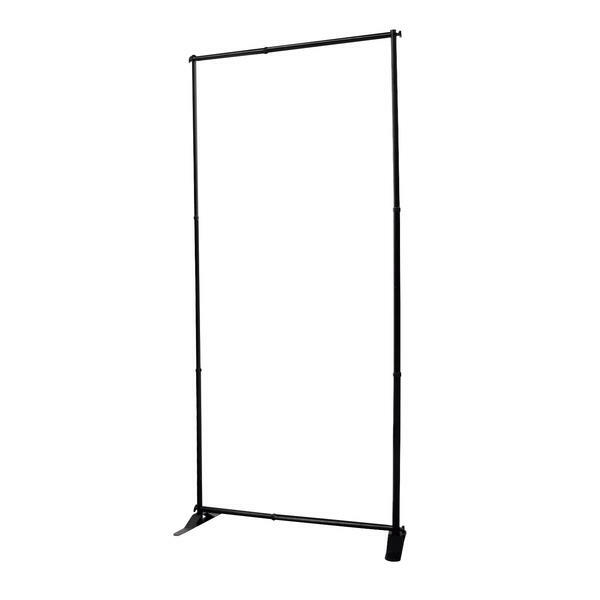 We also stock three varieties of banner stands. Banner stands are easy to transport and install in your booth, and can often allow you to do your show without the expense of buying a display booth. We carry hanger bars for displaying your trade show banner. Click to see our selection of banner hangers.